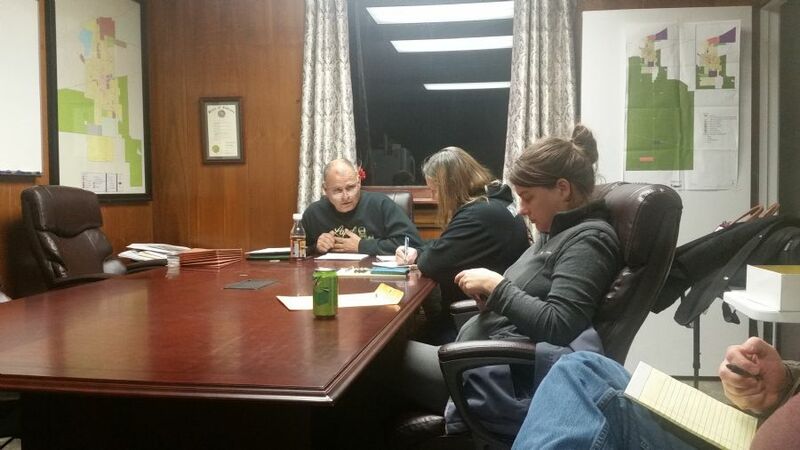 The Planning Commission held a regular meeting on December 13th from 6pm at Lapel Town Hall. Keith VanWienen from Precise Land Surveying presented plans to replat 20 acres on CR 800 West with 3 acres remaining with the current land owner and the remaining land to be sold to David Bodenhorn. Rod Forrest a local realtor, talked to the board about plans for a 14-acre parcel of land off Central Avenue. He stated there is interest from a metal fabrication business to build a facility on that land. The commission members thought with it being a residential zone and with limited access for delivery vehicles to enter the property it would not be a good fit. Forrest asked what other developments the commission would like to see in that spot and most people thought a 100 or so home development would be a good fit. The commission then reviewed and approved permits and the meeting ended.